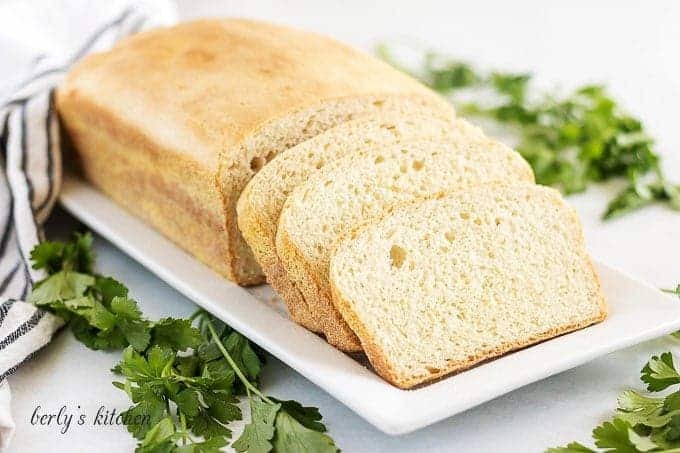 English Muffin Bread is full of nooks and crannies just like an English muffin but in a loaf form. It’s dense, chewy and makes the best French toast. This was one of Kim’s first recipes to hit the blog, way back in June of 2016. Kim and I feel it needs to be updated. New pictures and post instructions along with structural changes to the content. Fortunately, the English muffin bread recipe didn’t need to be changed. It’s as good today as it was three (3) years ago. 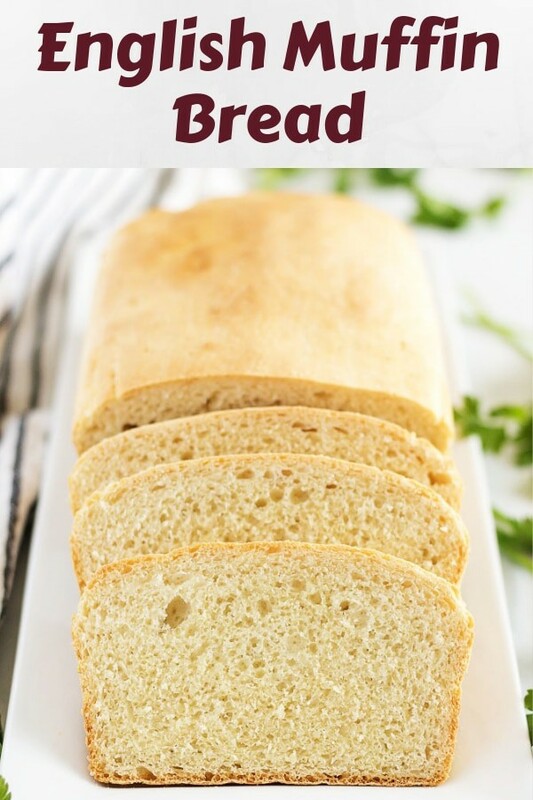 The bread is dense, chewy, and as the name implies, similar to an English muffin. It can be eaten as is with butter or repurposed into French toast, bread pudding, or breakfast casseroles. Not only is it delicious, the day old bread can be used in so many ways. Making it a tasty and frugal offering. Now, onward to the instructions!